Solar Power International (SPI) headed back to Las Vegas, Nevada, September 10-13, 2017. Held at the Mandalay Bay Convention Center, SPI is North America’s largest Solar PV exhibition. It is also a premier business-to-business event for professionals in solar energy and related fields. As the world’s leading grid-tied and hybrid inverter, SolaX Power chose to showcase its new products at SPI. It launched three new products aimed at the North American market; A1-Hybrid, A1-Fit, and A1-Grid . The striking booth design, impressive array of ground-breaking products and the welcoming SolaX team of inverter professionals ensured a busy few days on the stand with hundreds of visitors expressing interest in the product range. 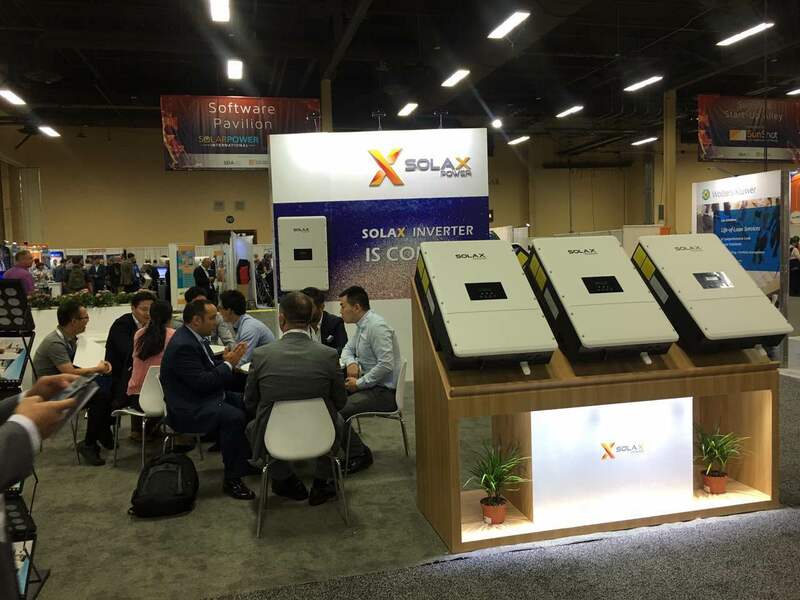 The success of SPI show provided the perfect platform the SolaX Power’s launch into the North American market. For more information about SolaX in North America, please dial 0086 571 5626 0008.